Starting a business from scratch, literally means starting with nothing, and building something from that nothing, often alone, working long hours and experiencing discouragement. A startup business enters the market with less than the competition. Often this will mean less experience, less financial resource, less advertising budget, less documentation, less brand reputation, less staff, and basically, less of everything. In spite of the obvious disadvantage, passion, hard work, and discipline to work hard and deliver the very best to new customers will close the gap between a small business, and larger, more established competitors. How can we approach an uneven game and learn to win? How can we take disadvantage and turn it into advantage? By ensuring that EVERY SINGLE contact point with your business a customer or potential customer has is BRILLIANT. From the very first impression they get seeing your logo, your Facebook content, meeting you in person, receiving your emails, phoning your business and buying from your company. Every touch point must be absolutely professional and brilliant. The advantage a Startup has over a larger business is the ability to be personal. The ability to give new clients a more boutique experience that they may not experience when dealing with larger organisations. Spend some time designing your customer experience model to make sure that focus is always on your customer’s happiness. This is your small business leverage. With a good platform, this leverage can grow your business rapidly. As a startup, there is a GAP between where we are, and where we want to be. This gap can be discouraging. It can prevent you from having confidence and stop you from succeeding. It may feel OVERWHELMING. 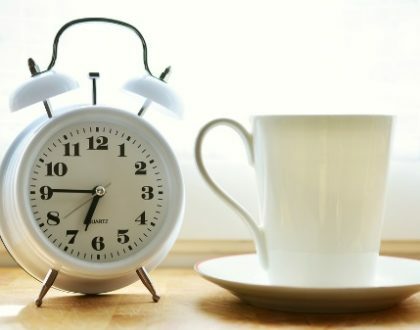 Use this gap as FUEL and be inspired that every small thing you do each day is closing the gap between where you were yesterday and where you will be tomorrow. Gaining customers takes time, building internal resources takes time, developing systems takes time and with perseverance and determination you can and will get there. OUTSOURCING – Activities that are not generating income can take all your time and slow down your pathway to success. As a business owner, 80% of your time should be spent on generating revenue. For most other tasks, an expert will do a quicker and better job than you can. Engage them to do the things that do not generate income like answering the phone, setting up your marketing funnels and social media content, designing your brand image and documents and looking after your accounts. Making sure these things are professionally handled will vastly improve your professional image and close the gap rapidly so your business can grow. SELF EDUCATION – If you are going to be the person bringing in the business, invest in sales training. Having a great product or service will not convert into profits without you understanding who your customer is, your customer’s buying journey, how your product or service fits into the market, and how to present your solution to the buyer. People don’t buy products and services, they buy feelings and solutions. Selling is a process that can be systemised and learned. GET SOCIAL – You may have heard the saying ‘Your net worth is only as big as your network’ – This includes the relationships you build face to face and also your online network. Many businesses have grown huge revenue streams from online presence, for professional services, LinkedIn and Facebook – for products Instagram and Facebook. You can’t afford not to be online. If you are not an online marketing specialist, find someone who is and refer to point 1. Turn Key Receptionist can assist your business with closing the gap. Our network can be your net worth. 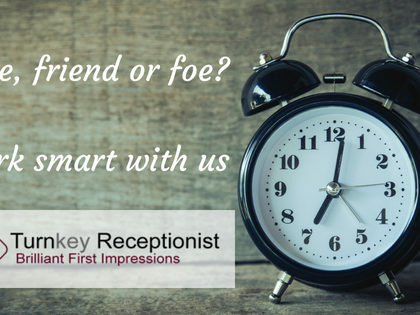 For more information visit www.turnkeyreceptionist.com.au.